Our planner inserts were created to be your ultimate personal assistant for everything you need to keep track of. If you consider your planner your ride-or-die book, these inserts are totally your jam! Everything from calendars, at-a-glance calendars, holidays, budget pages, project pages, pet trackers, goals sheets, monthly spreads, inspiration, habit trackers…. all of it. In one place. These January- December A5 calendar inserts have everything you need to manage your daily life. These planner pages give you a blueprint to manage every task, appointment and project that comes your way. Filled with monthly goal pages, calendar spreads, horizontal week on two pages and other planning tools that are designed to keep your life organized and simple. Oh and it’s about the paper! These A5 inserts are printed on gorgeous 80# high quality paper making it thick and absolutely lovely to write on. Life should not be complicated. We are here to help you streamline everything you need to accomplish on a daily, weekly and monthly basis. Do you have questions? Email Us! Colors may not be as they appear on the website. Price excludes shipping & handling, which is applied at checkout. We are proud to say that we made this just for you! With that in mind, please make sure your order is correct before submitting. Once it is received it cannot be modified or cancelled. All orders are final sale and refunds will not be issued. If for some reason the product is damaged please contact us with 5 days of the order and we will make every effort to correct it. Variations in the printing process may vary however this does not affect the quality of the product. I love my planner inserts! It’s perfect for keeping my days planned and organized. The paper is very high quality. I am very happy I got them. SALE! Planner Inserts Now 50% OFF! Planning starts now! There is no time like the present. It’s time to do something for you! 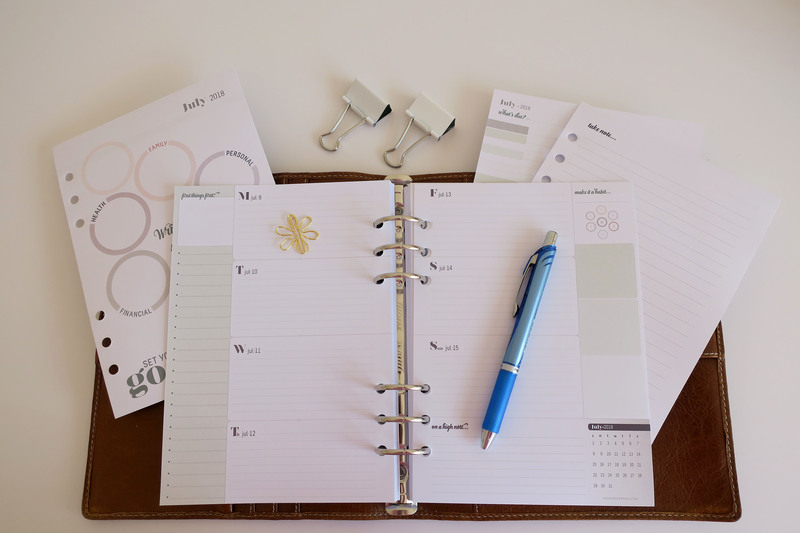 Create calm and simplicity in your life with these lovely planner inserts. Grab them now! No coupon needed!